The nice thing about having more than one youngster is that two or more can entertain each other. The bad thing is they tend to fight amongst themselves. The guidelines in this post will help you step back and remove yourself from some of their conflict. Taking a neutral role may force them to learn how manage differences and get along. 1. Teach older kids to respect other views. Help them learn to be good listeners and be sure they understand what the other person wants to say before expressing their own opinions. Emphasize the value of compromise or a win-win approach so that everyone comes away from a dispute feeling respected if not gratified. Model a similar technique in your own conflicts at home or in public so that kids can learn from your example. 2. Mediate stalemates. When you discern that the children are having trouble resolving disagreements, you may want to become a moderator, which is somewhat different from refereeing. A moderator allows all parties to take turns voicing concerns, and then asks questions or makes statements to help the group accept and consider the others' views. Occasionally the process is time-consuming, depending on the age of the children, but it is more likely to be over in a matter of minutes as the children grow tired of negotiations and look for something more fun to do. Even a little bit of round robin communication can introduce them to fair-minded conflict resolution, a skill of vital importance to adults. 3. Keep your ears open. Even when you decide not to get involved, listen from a distance to find out how they are dealing with tensions. If one threatens or bullies the other, you may need to step in after all. But if they decide to forget it or negotiate to find common ground, even when you don't completely agree with the outcome, stay out of it. Children will learn from failed consequences as much as they do from effective ones. 4. Divert young kids. Preschoolers who frequently tussle may not be able to discuss much of anything with each other or you, especially when tired or ill. But they can be separated from each other. 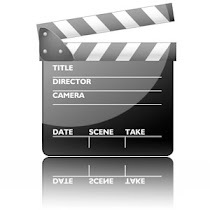 Sometimes redirecting them to another activity, like a video, can solve the problem instantly. 5. Distinguish between the merely annoying and the truly alarming conflicts. 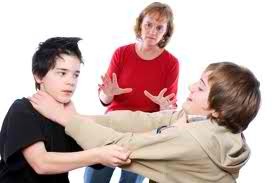 Most children bicker frequently, and moms/dads generally know when it's serious or not. When you hear screeching voices and crashing items, you know it's time to get involved. Otherwise, you may want to bite your tongue and let your kids begin to learn how to manage their own disputes. While you have to oversee most young kid’s fights, you gradually can maintain some distance and perspective as kids grow older. Argument is an essential part of communication, for it allows us to explore other viewpoints and reconsider our own. As your kids mature, give them increasing responsibility for managing differences with others while you, as mother/father, continue to maintain a watchful eye on the proceedings.